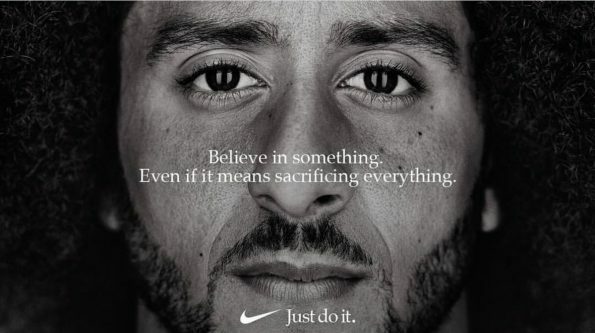 On Monday, Nike dropped a bombshell on social media when they announced that Colin Kaepernick, along with others, would be the face of their new ‘Just Do It’ campaign. It was the gutsy move for Nike, who holds the official apparel deal with the NFL and who is also currently embroiled in a legal case against the former San Francisco 49ers QB. 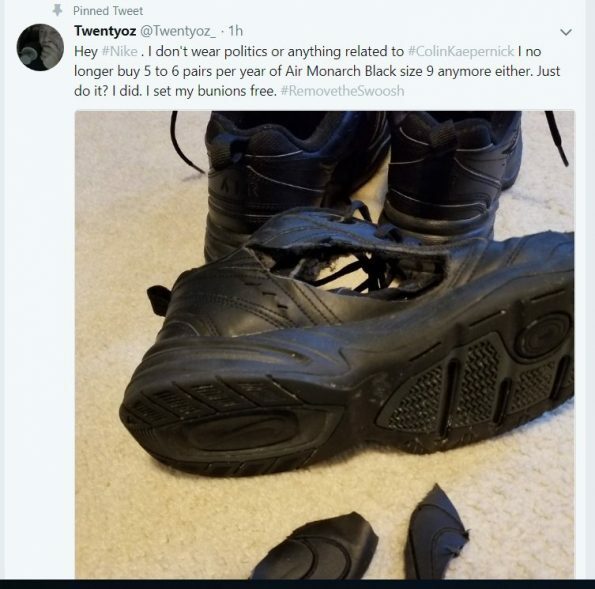 Many voiced their displeasure on social media and claim they would never buy another Nike product, while others went a more radical way. A few people began posting pictures of themselves actually taking scissors to their Nike clothes, socks, and shoes and cutting out the Nike Swoosh to show how upset they are.